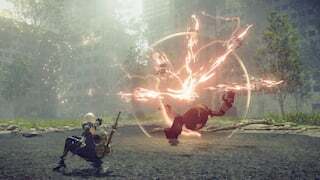 A150: Volt is a Pod Program in Nier: Automata. Traps one enemy and shocks them for rapid damage. 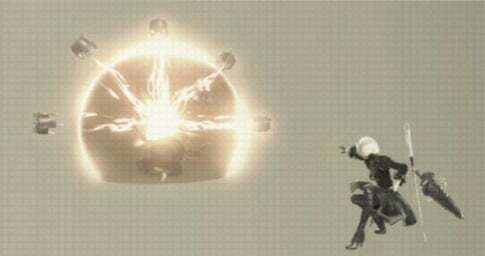 Charging it with multiple pods increases damage and duration. Enemies will be stunned for the duration, making Volt very useful for taking out dangerous enemies. During route C: go to the area in the Abandoned Amusment Park with the tank. The Pod Program is in a dead pod next to a dead YoRHa soldier. It gives off a high pitched beeping sound to help you locate it. Certain enemies, like zombie clowns and tank goliaths, will not be stunned by Volt. However, they will still take the damage.